My ideal 3G data card would be the one which uses its base network provider in areas where that provider has 3G coverage, otherwise falls back on secondary or tertiary providers which have 3G coverage in that particular area. I think this already happens for cellular network which helps us make phone calls. – I am an NCR/ Delhi resident. 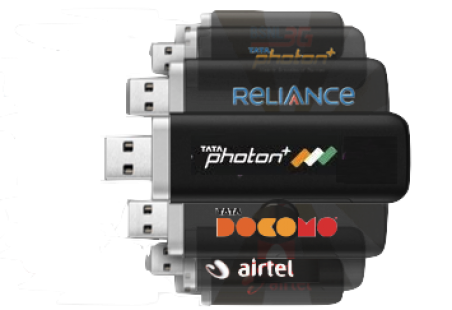 – I buy a reliance dongle which uses reliance coverage in NCR. – I go to Shimla, Reliance 3g has coverage there so my dongle continues to use reliance 3g data services. – I go to Goa, reliance does not have 3G coverage there & thus the dongle automatically starts using vodafone 3G services. That way, as a consumer I can continue to use 3G in much more of our country than just a select few areas. Consumer Wins!! That way, the consumer continues using AND Paying money for 3G services wherever he goes. The provider industry as a whole makes more money. Each individual enterprise continue to have its competitive edge by managing customer service/speed/ pricing/ plans etc. Extend the same to international roaming, extend it further to data access on phones / tablets? Dear Vodafone, Reliance, Airtel, Idea and other providers of our country. Can you help ?